It has been awhile since I have done a blog post, but it doesn't mean I haven't been stitching! For the past 2 1/2 years, I have been working on a large project that turned into a book! 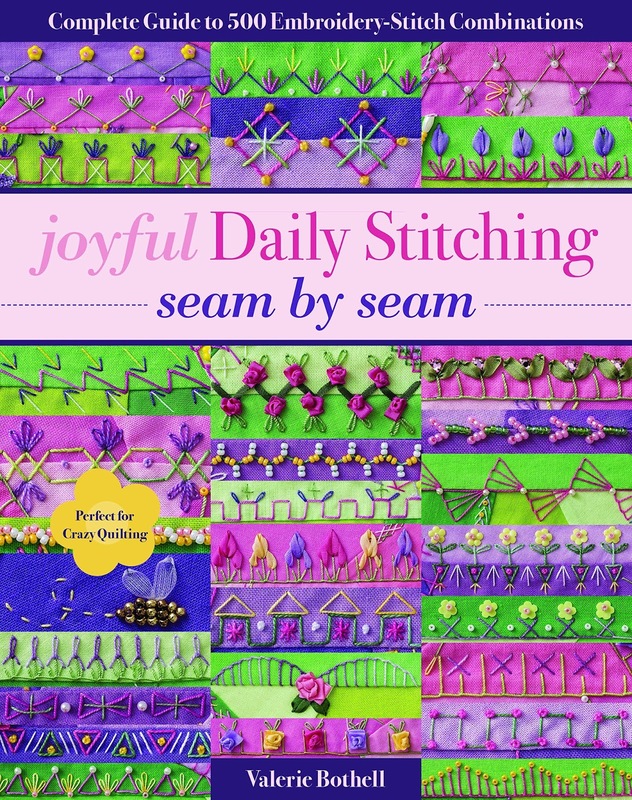 I began a Face Book group called Joyful Embellishments to encourage everyone to stitch daily. 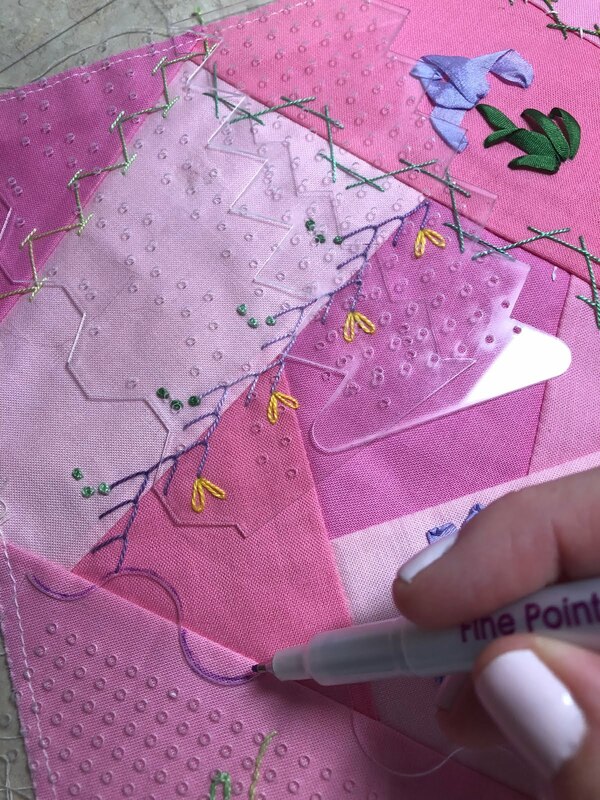 Sometimes when I am working on a large project, it seems overwhelming, but I found that if you make a daily stitching goal for yourself the project becomes manageable, at least in my experience! After I started the Face Book group (which you may join at anytime! 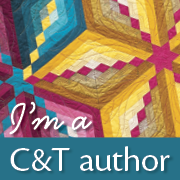 ), I decided that I wanted to start a crazy quilt where every stitch on it was different, not one seam would be the same. I decided on a goal of 250 different seams but as that goal came to an end, I pieced more blocks and I ended up with over 500 different seam treatments on my crazy quilt. 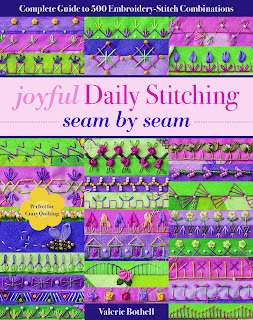 It was so much fun to challenge myself as I did one or two seams a day. I am so pleased that what started out as a personal challenge, became a book and I hope that it will encourage you to do some daily stitching also!